How many types of mattresses do you really know? If you were to walk into a store now with the intention of purchasing a mattress and you are asked which type you wanted, what would be your response? Well, it is sad that the majority of people don’t understand the available mattress types and as such, they end up getting a less than stellar experience when they are considering to buy a new mattress. They make with their purchase and upon arriving at home, they then realize that whatever they purchased was not the exact type of mattress they had wanted, or they realize that there were other types they would have purchased. The only way to save yourself from this kind of quagmire is to get yourself educated on the various mattress types and arm yourself with the right information on types before you embark on the actual shopping process. In this piece, we help you understand what you need to know as far as the mattress types are concerned. Memory foam is a creation of NASA in a 1970s project which was aimed at designing a solution for sitting and cushioning for astronauts when they were in the space crafts and the technology was later adopted by the aviation industry for making the plane seat cushions and now it has found its ways into bedroom in the form of mattresses and pillows. This project by NASA turned out to be very successful and due to it, it has availed one of the greatest mattress and pillow types to the whole world. The memory foam is also known as Visco Elastic foam and it possesses a unique ability to adapt to the shape of your body every time you sleep on it and this helps in dispersing your weight evenly across the entire mattress and consequently on the entire bed. It is the most preferred type of mattress for individuals with morning pains, achy joints, and the restless sleepers. 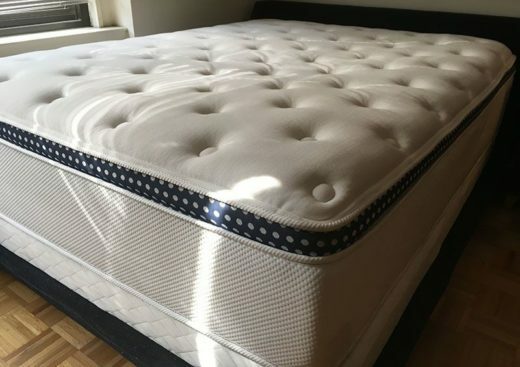 Since the foam is normally affected by temperature, these kinds of mattresses also have the ability to conform to the individual’s body temperature and weight. Consequently, they tend to give a warmer sleeping experience compared to the traditional innerspring mattress types. 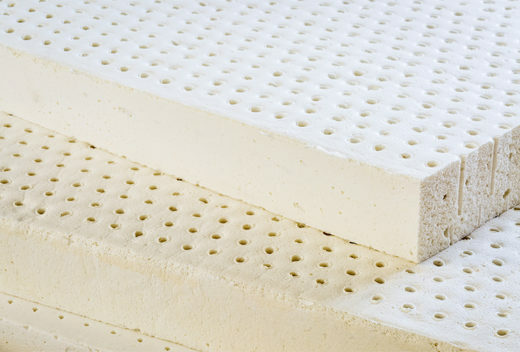 Currently, you will find various variations of memory foam mattresses being produced by mattress makers and these include gel-infused memory foam mattress, open-cell memory foam mattresses, reticulated foam support mattresses and other technologies being used to improve the sleeping experiences of the mattresses. You can find a good selection of these mattresses at Tuft & Needles sheet stores. These are the oldest and the most popular mattress types and they currently feature a lot in the design of modern mattresses. 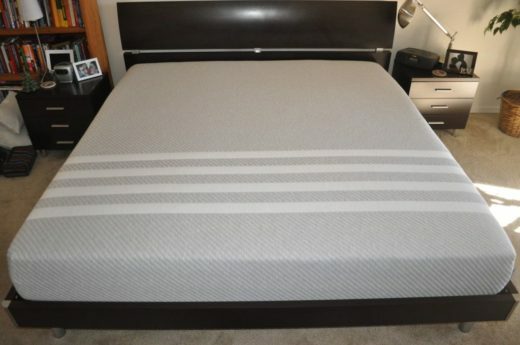 If you have any experience with mattress types, then it is highly likely that this was the first mattress you had an experience with. In making these mattresses, manufacturers make use of a variety of coil systems like springs which are then connected to individually wrap pocketed coils or into a single unit designed to make the mattresses more durable. Such a focus in design usually lead to the creation of not just a super comfortable mattress, but a durable one that will guarantee many nights of comfortable sleeping experience. And with the use of the advanced mattress materials in current use today, innerspring mattresses are now featuring more than just one material and it is possible to find them featuring a combination of fibers, foams, as well as other layers, and these have made them the preferred choice for most people who desire comfort and durability in their mattresses. If you want some of the most inspiring innerspring mattresses then check out the collection at Tuft & Needles sheets stores. Hybrid mattresses are a result of years of innovation in the sleep technology industry. These mattresses feature the use of two or more different types of the support system on the same mattress and in most cases, a combination of sophisticated memory foam and advanced innerspring system technologies are usually used. They are remarkable mattresses that will treat you to all the benefits you get from memory foam mattresses while they will also retain the classic looks and feel as well as the convenience of the innerspring mattresses. With the use of innerspring technology in mattress manufacturer, there are a lot of benefits that most of the discriminating sleepers can now take advantage of and get the most out every night they spend on the mattresses. To begin with, the use of pocketed coil technology helps in the reduction of motion transfer which normally happens when one is tossing or turning when in deep sleep and which sometimes forces people to wake up. Again, the use of several layers of infused memory foams is vital in helping users to achieve a comfortable sleeping posture that will help in relieving pain in certain parts of the body and also to control the body temperature through the diffusion of heat away from the body. For these and many other mattress types, checkout Tuft & Needles sheets online stores. You will be surprised to learn that latex mattresses have been around since the 1960s, but due to the high cost of producing this mattress type, they were not so lucky to be adopted by the populace as the other types of mattresses. If you love latex, then you can benefit from the recent technology that has made it possible to produce the very high quality of latex mattresses. The good news is that you no longer have to spend a lot of money to get them as it used to be a few years back then. The two big advantages you will get from these mattresses is that they are super comfortable and very resilient compared to other mattress types and these guarantee you a lot of comfort and durability when you purchase them. These are generally made from polyurethane foams of different weights and densities. You may also find some made from latex rubber. They are a good choice if you are pressed for finances and you need a cost-effective yet comfortable mattress for your nights. They will give you support to the very edge of the bed and this is a highly admirable feature for restless sleepers. Whichever point you turn to in the bed, the comfort will never be compromised.